Tacos might be that one meal that everyone in my family agrees on. We might not have them every single week, but definitely at least twice a month. And instead of buying taco seasoning packets, I just started making it myself. 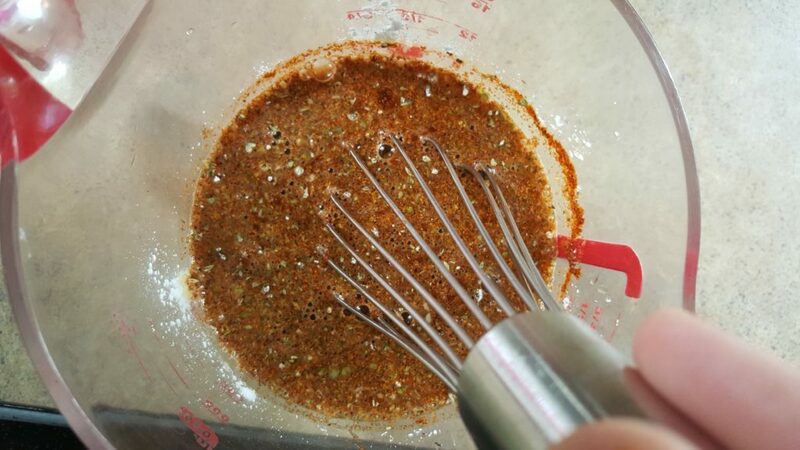 I've experimented and tweaked this taco seasoning recipe so that it's absolutely perfect. And although I know those taco seasoning packets are cheap, I feel better knowing what is going into the food myself. Or – if you are in a pinch, the kids are begging for tacos, and you don't have the premade mix, I've got you covered. To start with, brown your meat as you normally would. And while that's cooking, get out a bowl. Pour in 3/4 of a cup of water, and then add all the spices plus the cornstarch. Wisk it up really well and then just leave it alone until the meat is cooked all the way through. As for the meat, you can drain it if you want. 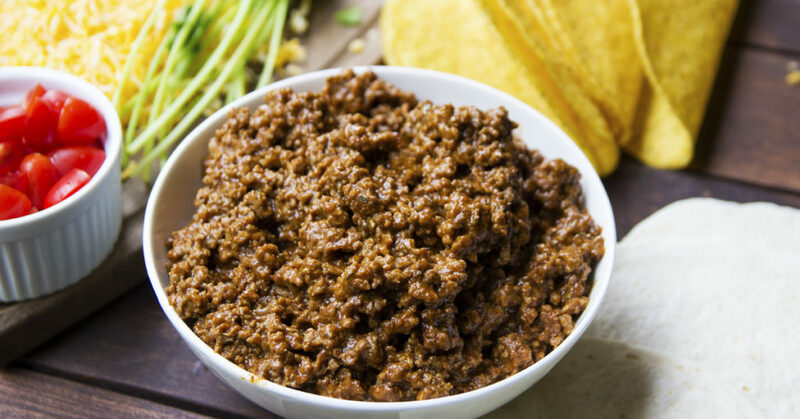 Personally, I don't mind a bit of fat in my taco meat as long as it's mixed in well (no orange grease – yuck!). I drain out about 75% of the fat and liquid from the cooked meat. Leaving the drained (or mostly drained) meat in the pan on the stove over medium heat, dump your water/spice mixture onto the meat and stir. Once it starts bubbling, mix it a bit more and then remove from the heat. You're good to go! Taco night has been saved! 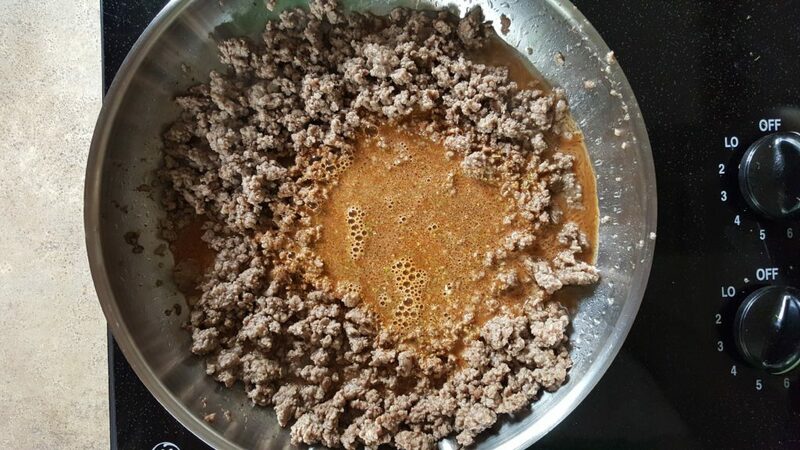 1 lb ground beef, cooked and drained. Start cooking the meat in a pan over medium heat. 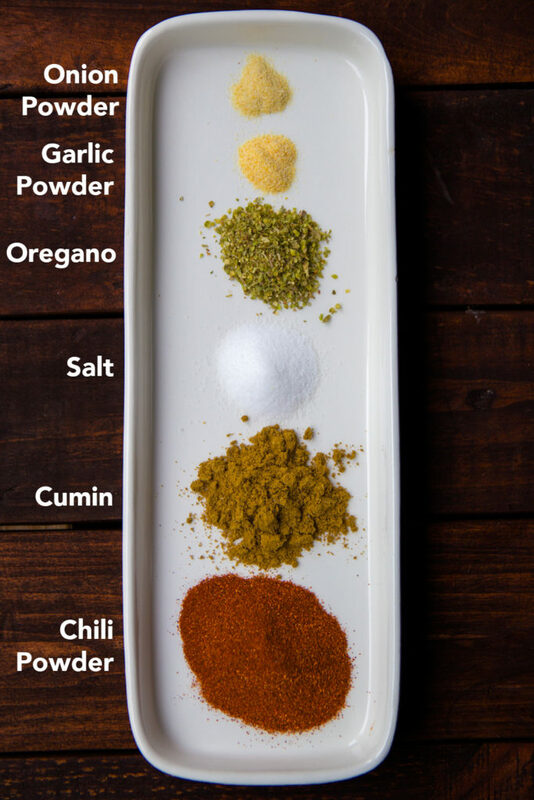 Combine water, cornstarch, and all spices in a small mixing bowl. Once the meat is done, drain to your liking. Place the meat back in the pan. Add water/spice mixture to the meat and stir. Once the liquid starts bubbling, you're all set. 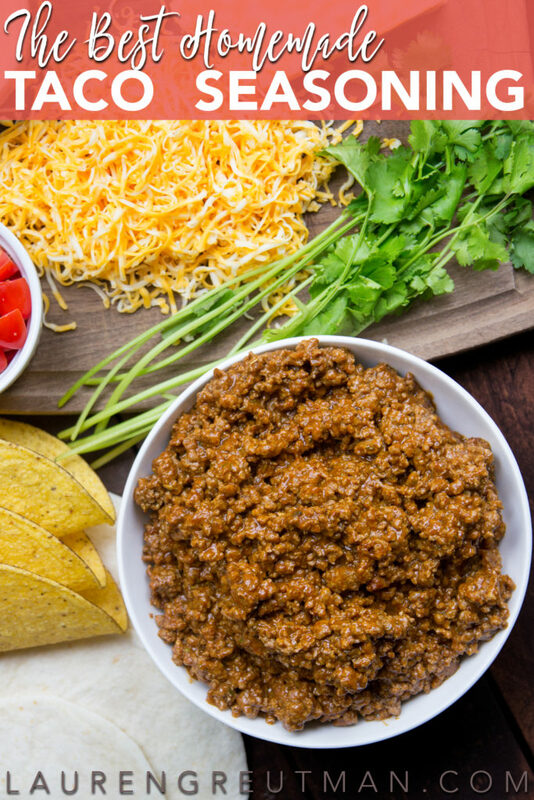 Serve in tacos, on a salad, or nachos... or however you'd like. 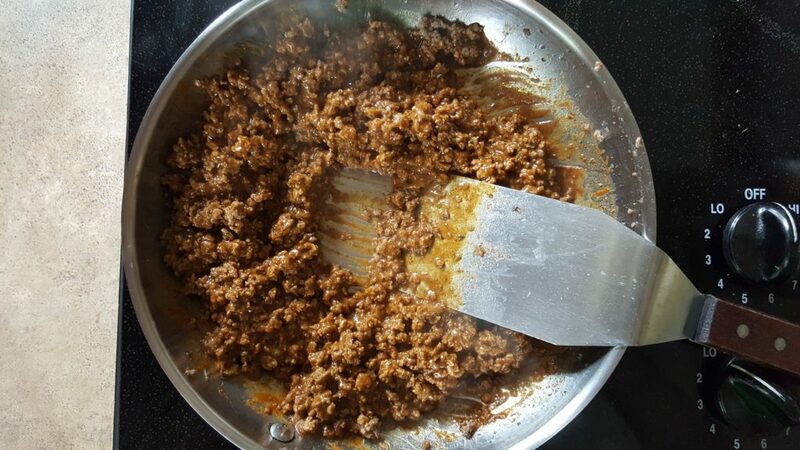 When you want to make tacos, use 3 Tbsp of the blended seasoning, and mix with 2 Tbsp cornstarch.